Protein powders are only something for muscle-bound men? That protein, including the protein called a positive effect in many ways on the body, is no longer a novelty: Proteins serve as building material for muscles, connective tissue, and cells, strengthen the immune system, help recreate a balanced hormone level and help in a faster recovery after the sport. In addition, they are indispensable in the fight against annoying pounds, because of proteins saturate longer than other nutrients, promote fat burning and protect you from cravings because they only provide low insulin output. Protein is a true miracle weapon for a healthy, slim and strong body. The protein business, such as protein shakes, is booming like never before. 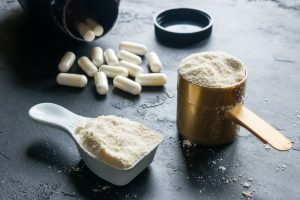 But if you look around the gym or specialty sports nutrition stores, you’ll notice that the creators of the creations are mostly interested in protein powder. Many women are afraid of protein shakes because they believe that they would grow fat mucks completely wrong. Women’s hormone balance more specifically, their low levels of testosterone makes it simply impossible to build muscle masses, even if you’re pushing hard and disciplined heavy irons. If you think of photos of female bodybuilders with biceps such as those on their thighs, it’s likely they’ve been helped with illegal substances, by nature, it’s nearly impossible to look like a woman like that. So: do not be afraid of protein shakes! Especially when losing weight (and let’s be honest: that’s the main reason why most women do sports), a protein shake can be your best friend. Because during a calorie-reduced diet, the body often not only reduces fat but also attacks the calorie-burning muscle mass and thus lowers your basal metabolic rate – keyword Jojo effect. A protein shake helps you with relatively few calories to maintain your muscles and often even tastes like chocolate or custard. A nice thing, right? Whey, casein, multi-component protein, soy, isolate, concentrate, shape shake as a layman, it is almost impossible to find your way around the protein powder jungle. We clarify which powder is right for you and introduce you to the most common varieties. Because it is clear: Protein is not equal to protein! And straight away: Do not be fooled by product names “Especially for women” or the like is nonsense and usually only more expensive than conventional protein powder. Because the human body works the same, your sweetheart processes protein just like you. Hidden behind this name is whey protein (Whey = whey). Whey protein has a high biological value, which means that the body can absorb it very well. It enters the bloodstream very quickly and is thus quickly available to the body as a building block for new tissue or to repair damaged muscle structures. Since it is important for your muscles to be supplied with nutrients as quickly as possible after the exercise, Whey protein is particularly suitable for directly after training. It is generally more soluble than other protein powders such as casein and can be practically transported in the handshake and prepare with some water or milk right in the locker room. Also in the morning after the sleep-related fasting period is a Whey shake, to provide the body with rapidly needed amino acids. Tip: If you’re not a fan of shakes in the morning, but prefer a firm breakfast, you can hide your protein powder, for example in our delicious almond pancakes or for the hearty ones in our quark feta muffins. Casein is the milk protein, more precisely the protein content of the milk that does not end up in the Whey (about 80 percent). Naturally, it occurs in quark, milk, yogurt or cheese and provides your body with a high-quality source of cell building material. The amino acids contained lead to a reduced rate of absorption, resulting in a slow, constant uptake in the gastrointestinal system. 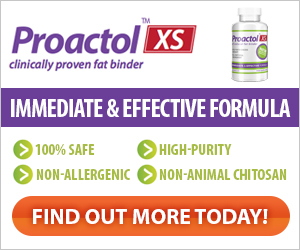 This provides your body with building blocks for tissue repair and repair over a longer period of up to 8 hours. Casein lasts particularly long and is thus preferably taken before going to bed, in fitness circles, it is also called “night protein”. If you want to lose weight, you should soon make friends with casein, if you have not already done so: During a diet, it prevents (hot) hunger and also prevents the breakdown of muscle mass during a calorie deficit. Casein is generally less soluble than whey and contains significantly more lactose. For lactose intolerant athletes, it is therefore not suitable. Of course, you can also source the milk protein from natural sources, the leader in the casein Reichen foods is skim curd. A 250-gram pack contains about 30 grams of protein. As the name suggests, the multi-component protein is composed of different types of protein, primarily whey and casein. The idea behind this is to combine the advantages of the various types of protein and to ensure fast, medium and long-term supply of protein to the body. If you read something about “isolate” on your selected protein powder, this is a good sign: Here, a special production process increased the protein content in the protein powder by up to 90 percent, while at the same time reducing the fat and carbohydrate content to around one percent. As a result, the end product contains only a minimal amount of lactose, which is particularly interesting for lactose intolerant consumers. Since the process is generally more expensive than other manufacturing processes, isolate is significantly more expensive. But you usually get a higher quality product for that as well. Protein powder concentrate is the counterpart to isolate. It contains far more milk sugar and is more digestible for many people. In addition, the fat content is about 5 percent, while the protein content can vary greatly between 29 and 80 percent. More than 80 percent protein is not possible. 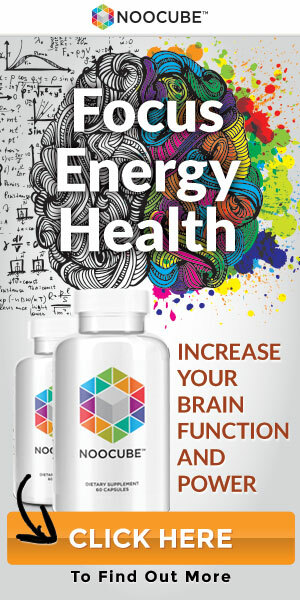 Advantage: concentrate is cheaper than isolate. Incidentally, taste and consistency are not influenced by whether it is concentrated or isolate. Of course, there are a number of other protein powder besides those mentioned. For example, hemp, soy or pea protein, which serve the ever-increasing proportion of vegan athletes. In most fitness club, these are not (yet) available and they are more of a minority in specialist shops. Now you know what types of protein powder there are and that proteins are essential for a lean, healthy body – beautiful and good. But what speaks specifically for the shakes in comparison to natural protein sources? On the one hand, protein powders are much more practical: they are easy to transport, ready to eat in seconds, and never get boring as they range from chocolate to raspberry to peanut butter in all flavors. In addition, they are not heavy in the stomach, but they still saturate well. Also positive: With a relatively low-calorie content (a 30 g portion has about 110 – 130 calories), the protein content is very high and it contains all the essential amino acids. This is not self-evident: of 20 amino acids, the body can produce only 12 itself, the other 8 (“essential amino acids”) must be absorbed through the diet. Protein powders are also helpful for anyone who finds it difficult to meet their protein needs through a normal diet. Even if protein shakes bring with them a handful of advantages: a general access is not advisable. In fact, most powders contain sweeteners, artificial flavors and other additives that are often difficult or even too delicate for sensitive people and can cause bloating, stomach pain and digestive problems. In addition, due to their chemical composition and production, protein powders do not fit into any nutritional concept. Clean Eater or paleo supporters, for example, must (strictly speaking) keep their hands off them. Depending on which product you compare to the protein powder, it can also be significantly more expensive than natural protein sources. 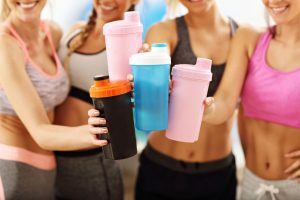 And: “diet protein shakes” should sound your alarm bells: Often, these meal replacement products are full of chemical additives and have high carbohydrate and fat content. If you prefer to use normal whey or casein protein, mix it with fruits, oatmeal, and flax seed to replace a meal! Used sensibly, protein shakes can enrich your nutritional plan and help you on your way to a healthy, fit and toned body. 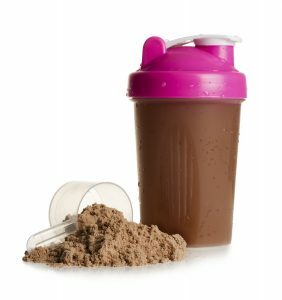 It always applies: The shakes are dietary supplements and should as the name suggests supplement your diet, not replace it. You should continue to cover most of your protein needs with natural foods such as dairy, meat, fish, legumes, and tofu. But before you force yourself to use protein powder on a regular basis, even though you find it expensive and disgusting, shakes are not a must and are not mandatory. If you pay attention to your diet, it is quite feasible to absorb enough protein. The recommendation 0.8 g of protein per kilogram of body weight, many nutritionists and personal trainers advise athletes but now up to 2 g of protein per kilogram of body weight. The exact value depends on your personal goal and level of activity. Warnings, too much protein is unhealthy and the kidneys are too bad, according to current investigations disproved (mind you with healthy!). It is only important to note that you can drink enough with an increased protein intake (2 – 3 liters daily). And always keep in mind: Much does not always help a lot this also applies to protein. Even if proteins help to lose weight or weight: If you eat more calories than needed, the excess is bunkered for bad times, which you then notice in the form of life rings on the stomach and hips. So keep an eye on your calorie balance, take in enough protein, and exercise regularly. Then nothing stands in the way of your dream body!